9:00 am ~ 6:00 pm Mon. to Fri. Helping Chinese authors avoid journal rejection since 2006. Your paper goes through a two-step editing process that clarifies your ideas and removes Chinese English without changing your meaning. Our goal is to make your paper publishable. Your academic paper goes through a three-step translation process to become a publishable English journal article. Reasons that journals often reject English papers by native Chinese speakers or request substantial revision. Your academic manuscript goes through a three-step translation process to become a publishable English journal article. No other agency goes to the trouble and pains we do to achieve accurate meaning and natural technical English flow while maintaining the author’s original voice. View our translating and editing examples to see us in action. 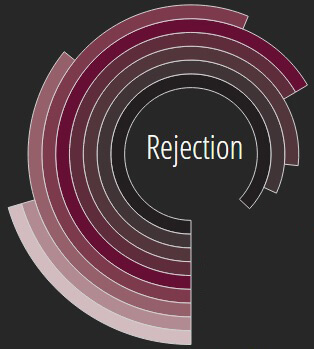 Understanding submission instructions, writing to journal editors, and using online submission software (most journals use a software tool to manage submissions) can be challenging. Furthermore, all communications must be conducted in English, and communicating with journal editors can add to the stress of having a paper published. We act as a mediator between you and your target journal, speaking English to the editor and Chinese to you to help you submit your manuscript correctly and on time. Through our professional and high-quality services, we continue providing academia with English writing resources—seminars, courses, publications, and more—to facilitate interaction among editors and researchers and constantly improve our services. Chinese scholars have used our service. academic papers have been published in international journals through our service. Dr. Steve Wallace, an expert in the instruction of academic English writing, and the Wallace academic English editing team have years of experience and have performed extensive research. Contact us to arrange an insightful speech for your institution or company about how to write papers right.